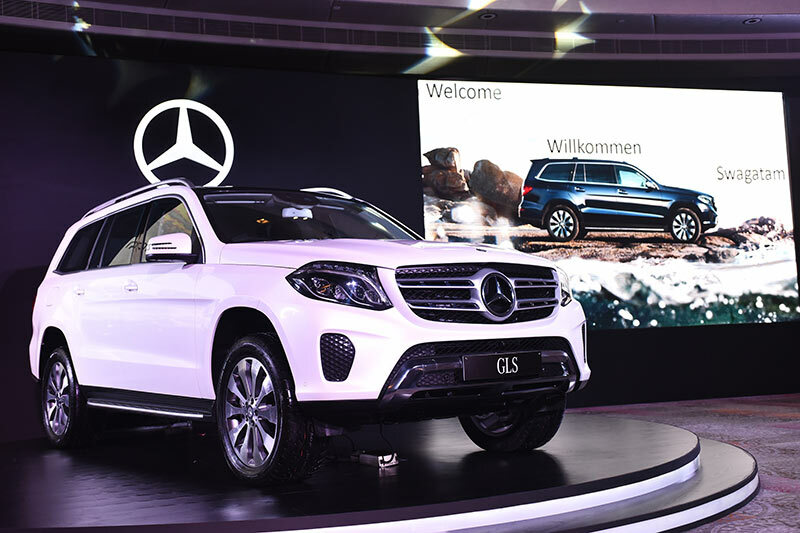 India’s leading luxury car manufacturer Mercedes-Benz today launched the new GLS 350 d, for its distinguished customers in India. 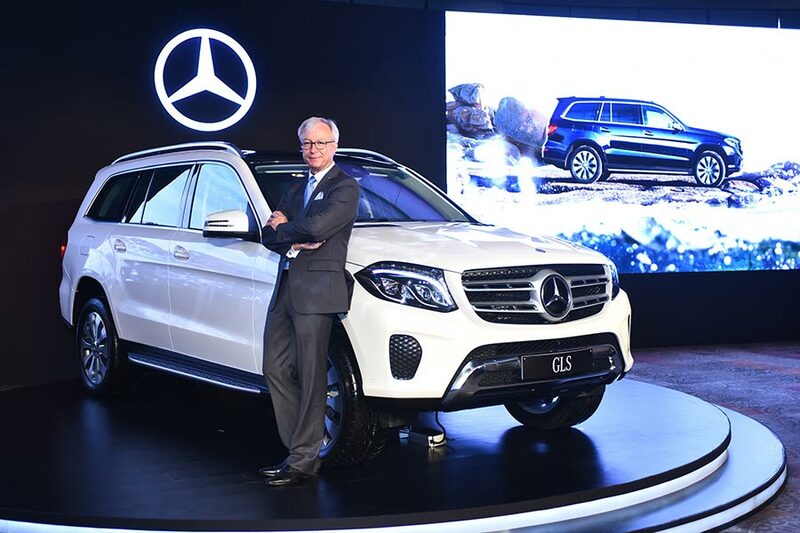 With the introduction of the GLS 350 d, Mercedes-Benz India continues its product drive in India and boasts of the most versatile range of luxury SUVs in its portfolio. The GLS creates new benchmark in performance, luxury appointment, use of technology, cabin and boot space and plush interiors which is inspired by the flagship S-Class luxury sedan. With the launch of the GLS, Mercedes-Benz yet again reiterates its ‘top of pyramid’ product strategy by introducing the best products from its global portfolio. 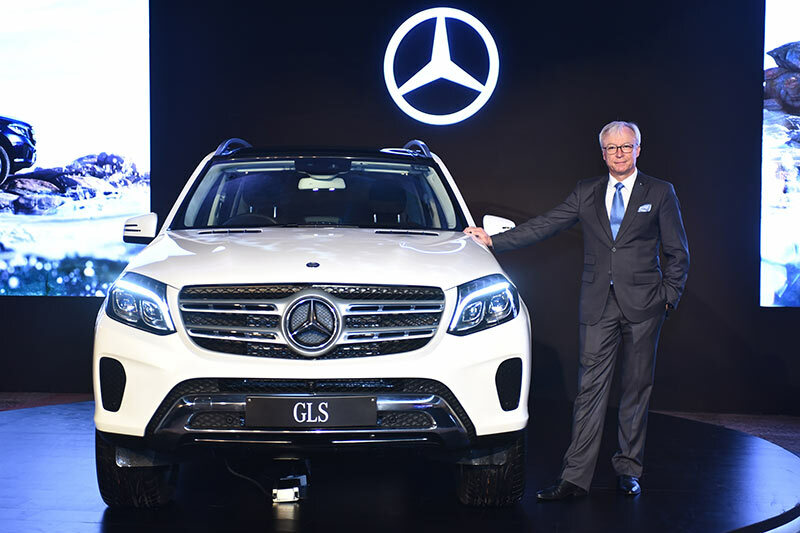 The GLS 350 d was launched by Roland Folger, Managing Director and CEO, Mercedes-Benz India. Popularly known as the S-Class of SUVs, the introduction of the GLS underscores Mercedes-Benz’s dominance in the luxury SUV segment in India. The GLS is the epitome of exemplary engineering that cleverly combines unmatched space, with delightful driving pleasure on any terrain. With the launch of the GLS, we are glad to provide the most comprehensive luxury SUV portfolio in the country to our discerning customers. India has a growing penchant for the SUVs and at 100% growth achieved in 2015; it was the highest growing segment for us. The GLS is a distinguished and versatile SUV, as it performs effortlessly as a dynamic sports car, a luxurious cruiser or even a fullyfledged off-roader. The GLS indulges its occupants in an opulent ambience, and promises unsurpassed luxury experience that no other seven seater SUV can offer. The GLS has contributed to the success of our SUV portfolio in a significant way. India has also emerged as one of the top 10 markets for the GLS, globally. The GLS will be locally manufactured in our world-class production facility in Pune from its India launch. We are confident that the local production will make the GLS 350d attractive for the eminent buyers with additional value propositions and increased availability. This is yet another illustration of our vision of ‘Make in India’, and gives us the opportunity to provide the newest products for our elite customers here. The striking exterior of the GLS with the new radiator grille has the brand’s Three Pointed Star transition smoothly into the two horizontal louvres and thereby emphasizing the value appeal and the lines of the entire front. This detail is a hallmark trait of all SUV models from Mercedes-Benz. The modern headlamp layout borrows from the GLE and GLE Coupé. The bonnet features two power domes and highlights the powerful appearance of the GLS. In concert with the full-LED tail lights with a new layout and the hallmark night design of the brand, the integrated trapezoidal chrome tailpipe trim elements round off the exterior design in grand style. The new GLS reflects harmony and modern luxury expressed in a large-size SUV format. Chrome-look details such as the roof rails, underbody protection, beltline trim strip, luggage compartment handle and side sill trim add attractive highlights. The GLS sports a 50.8 cm (20-inch) 10-spoke light-alloy wheels that further enhances the sporty appeal of the SUV. The interior offers the S-Class standard among SUVs. Furthermore, up to seven passengers can enjoy an outstanding level of comfortable spaciousness. The powerfully dynamic and elegant interior architecture, refined materials, a great love of detail, good ergonomics and the generous space – the interior of the GLS conveys the hallmark feel-good atmosphere of the Mercedes-Benz brand. In terms of storage space, the GLS provides a volume of 680 to 2300 litres and as such clearly surpasses the amount of space offered by the vehicle’s European competitors. Of particular note in the high-quality elegant interior are a new heated 3-spoke multifunction nappa leather steering wheel with steering wheel gearshift paddles, 12 function keys and an airbag cover in nappa leather, instruments with modified details as well as a redesigned instrument panel with semi-integrated colour Media Display. The latter offers an even better experience of the vehicle functions thanks to photo-realistic displays of images and graphics. A unique and first ever feature that enhances the environment inside the GLS is the Apple CarPlay. It provides options to make calls, listen to music, send and receive text messages and also provides access to select third-party apps that are approved by Apple CarPlay. Under the hood of the new GLS 350 d is a powerful 3-litre, V6 diesel engine that produces 258 hp and a raucous 620 Nm of peak torque. The engine is motorized by the revolutionary 9G-TRONIC transmission from Mercedes-Benz. The 9GTRONIC in the GLS 350 d has a more dynamic response and ensures reduced fuel consumption. The high efficiency is resultant of a reduced torque converter slip. The 9G-TRONIC auto transmission enhances driving pleasure due to dynamic gearshifts and response characteristics with smooth gear changes. A host of active and passive safety features relieve the burden on the driver and protect the occupants of the GLS. As standard on the GLS are the PRE-SAFE® system, BAS Brake Assist, the electronic all-wheel drive traction system 4ETS, ESP® with Curve Dynamic Assist and cruise control. Optimal protection potential is provided by the passive occupant protection systems together with the “electronic crumple zones” of the assistance systems and the intelligent body design. Adaptive, two-stage airbags for driver and front passenger, side bags for driver, front passenger and the middle row seats (combined thorax/pelvisbags) and windowbags across all three seat rows are also part of the standard specification. In addition, the GLS is fitted with three-point safety belts on all seven seats.